High quality round silver plated cufflinks. 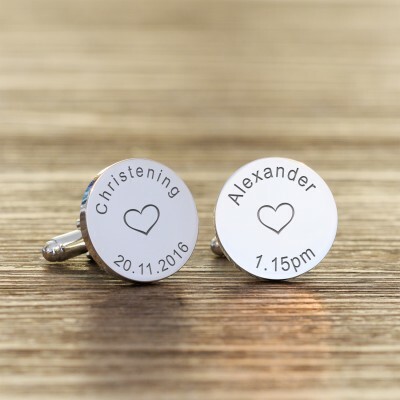 The first cufflink is engraved with the fixed text of "Christening" both have a heart engraved in the centre, add a date to the first cufflink. The second cufflink is engraved with a name and time of your choice.